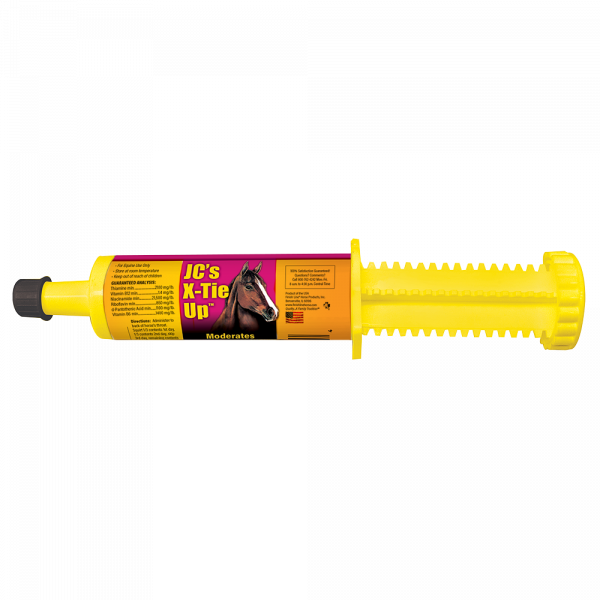 JC’s X-TIE UP™ can be utilized either as a preventative measure or for horses that are presently tying up. Trainers inform Finish Line® that one tube of JC’s X-TIE UP™ will promote healthy muscle function for up to one month with no side effects! 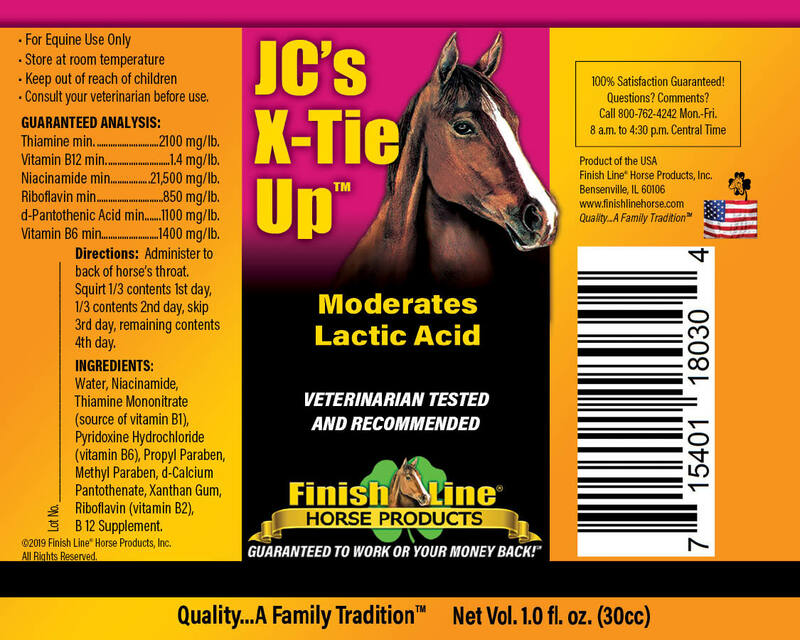 JC’s X-TIE UP™ will help avoid tying up and have healthier muscle function for 30 days! This product is named after JC Howe who discovered the recipe over fifty years ago. My late vet, Dr. Steve Miller turned me onto JC X-Tieup when my horse Winston started doing the seasonal change colic thing. He said every horse he had every had put on X-Tieup never had a problem with gut health unless there was a secondary underlying medical issue (like tumors or the like). That was 9 years ago. Winston has been on it monthly and we have never had any sign of colic again. I am a firm believer that JC X-Tieup is the reason. He will be on this for the rest of his life and I now have several friends who have their horses on it as well! I HIGHLY, HIGHLY recommend this excellent product if your horse is having issue with colic or as a great preventative!